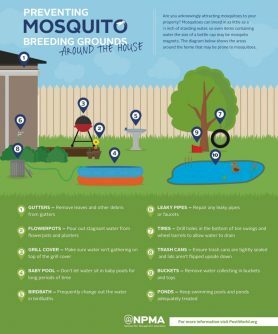 Mosquito control is especially important in our region, with over 50 mosquito species. This is why Integrated Pest Managment, Inc. has developed this effective program for controlling the blood sucker population around your home or place of business. Mosquitoes are transmitters of numerous diseases including malaria, yellow fever, dengue fever, encephalitis, Chikungunya, West Nile virus & Zika virus. Mosquitoes are also the primary cause of Heartworm in dogs. The Aedes aegypti mosquito is well known for carrying and transmitting the Zika virus, Dengue virus, Chikugunya virus, and Yellow fever. They actively feed during the daytime hours when you, your children, and your pets are outdoors. The Aedes aegypti are a highly invasive species and are becoming increasingly resistant to insecticides. 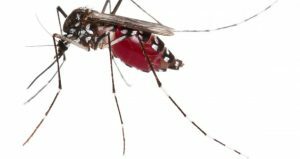 Bi-Monthly/Monthly Mosquito Treatments: We utilize a multi-prong approach that includes a residual insecticide to kill adult mosquitoes & an Insect Growth Regulator to control the life cycle. Frequency of treatment is important due to the breakdown of the active chemical after 30 - 60 days. 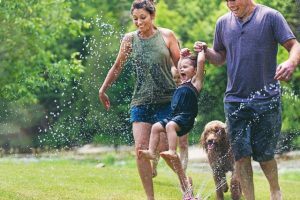 Install a Custom Mosquito Misting System: We can design & install a system specifically for your home. Call for more information & an estimate. Refill your existing Misting System: Typically these systems need to be refilled every 90 days. Our technicians will inspect your system each time we are there to refill it. Integrated Pest Management, Inc. has added an exciting new weapon to its mosquito abatement arsenal. We now have a way to recruit mosquitoes to do our dirty work for us. With our new mosquito LTD (Larvicide Transfer Device) we use the mosquitoes to transfer a unique larvicide formula to all the hard to reach breeding areas. This revolutionary technique is crucial in stopping the Aedes aegypti mosquito, which is the most dangerous for our area. 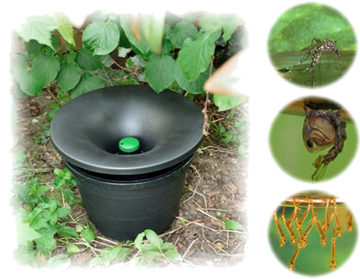 The In2Care Larvicide Transfer Device is a multi-impact tool against mosquitoes that transmit Dengue, Chikungunya, Yellow Fever and Zika virus.